Description: Religious Education is holding a parent and child workshop. Parent must have attended the Nov. 8th meeting. Call the Parish Office for more information 951-272-3521. Description: Fr. Jon Kirby will be giving a talk on Advent. He will focus on love, hope and the essence of Advent. Join us in the church at 7:00 p.m. Description: Join us for a reconciliation service Thursday at 7:00 p.m. in the church. Description: Looking for a FRESH Christmas tree? One day Christmas tree sale at St. Edward Church parking lot from 8 am to 1 pm. 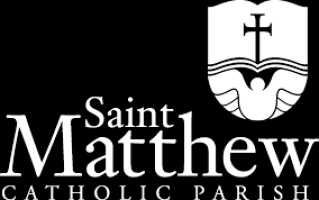 Money earned will support St. Edward Catholic School. Call St. Edward School for more information 951-737-2530. Description: Come join us as we celebrate the Feast of the Immaculate Conception at 8:30 a.m. Description: There will be a Penance Service at 10:00 a.m. today, there will be no Confession at 3:30 p.m. Please come join us at 10:00 a.m. and speak with a priest. Description: On December 8 and 9 at all Masses, our parish will distribute gift tags for our annual Christmas gift drive for the needy. We will be asking for gifts for children, food cards and gift cards. Please help support this worthwhile project. Description: Youth Night is in the Parish Center. Description: The Guadalupanas Ministry invites you to join us at 5:30 in the Parish Hall for a Rosary and Procession. Mass begins at 7:00 p.m. After Mass, you are invited to our traditional Posole in the Parish Hall. Description: Masses in English at 8:00 a.m.
Misa en Espanol 7:00 p.m. Description: Everyone is invited to attend the Holiday Luncheon in the Parish Center. Please bring a dish to share (salad, side dish or dessert). The main course will be provided. See you there. Description: Mass in the church at 7:30 and breakfast following in the Parish Center. All are welcome. Description: Children's Mass at 5:00 p.m.
Mass in English at 7:00 p.m.
Misa en Espanol a 8:30 p.m.
Mass in English at 10:00 p.m. Description: Celebrate the birth of our Lord Jesus Christ! Mass in English at 8:00 a.m.
Misa en Espanol a 12:30 p.m. Description: Merry Christmas to you! God Bless on the day of HIS birth. Religious Education is holding a parent and child workshop. Parent must have attended the Nov. 8th meeting. Call the Parish Office for more information 951-272-3521. Fr. Jon Kirby will be giving a talk on Advent. He will focus on love, hope and the essence of Advent. Join us in the church at 7:00 p.m.
Join us for a reconciliation service Thursday at 7:00 p.m. in the church. Looking for a FRESH Christmas tree? One day Christmas tree sale at St. Edward Church parking lot from 8 am to 1 pm. Money earned will support St. Edward Catholic School. Call St. Edward School for more information 951-737-2530. Come join us as we celebrate the Feast of the Immaculate Conception at 8:30 a.m. There will be a Penance Service at 10:00 a.m. today, there will be no Confession at 3:30 p.m. Please come join us at 10:00 a.m. and speak with a priest. On December 8 and 9 at all Masses, our parish will distribute gift tags for our annual Christmas gift drive for the needy. We will be asking for gifts for children, food cards and gift cards. Please help support this worthwhile project. Youth Night is in the Parish Center. The Guadalupanas Ministry invites you to join us at 5:30 in the Parish Hall for a Rosary and Procession. Mass begins at 7:00 p.m. After Mass, you are invited to our traditional Posole in the Parish Hall. Masses in English at 8:00 a.m.
Everyone is invited to attend the Holiday Luncheon in the Parish Center. Please bring a dish to share (salad, side dish or dessert). The main course will be provided. See you there. Mass in the church at 7:30 and breakfast following in the Parish Center. All are welcome. Children's Mass at 5:00 p.m. Celebrate the birth of our Lord Jesus Christ! Merry Christmas to you! God Bless on the day of HIS birth.